It sounded like Mission Impossible when I received the email. 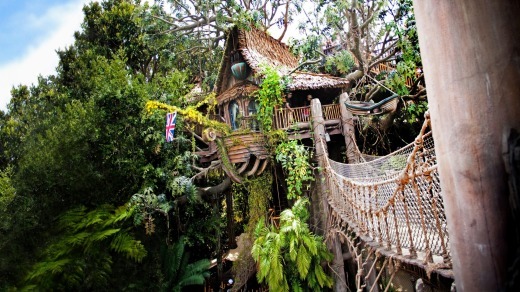 "Explain why sensible adults choose a Disney resort for a vacation - even when they don't have children or grandchildren as deep cover," I read (before it self-destructed). So I'm here at a matinee performance of the live musical Frozen at the Hyperion Theater in Disney California Park, a former car park that opened in 2001 as the younger sister of the original Disneyland. Forget Dante's Inferno, this is my Disney version of hell. An hour listening to Let It Go? But as the lights dim in the auditorium packed with primary school aged children, a woman asks if the empty seat beside me is reserved. She's obviously Australian. I ask what she's doing watching Frozen alone. Turns out she's the chief executive of a women's refuge charity in Australia, she explains, and has just presented a paper at the United Nations in New York. But she's added four days, at her own expense, for "me-time". Really? Disney? Why, I ask, as Frozen begins? Now I'm paraphrasing here because I'm being shushed by six- year-olds. But the gist is: "it's a release from the real world, a chance to bathe in the innocence of youth, to escape the shackles of adult conformity". After the show, UN woman tells me she's enjoyed Disney resorts around the world with her husband and children, but they adore the more scary rides which she hates. So she's going to concentrate on things she prefers (shows, parades, the classic attractions). Suddenly it doesn't seem so weird being an adult without kids at a Disney resort. Disney won't reveal what proportion of its annual guests are adults without children, though I'd put it as high as 15 per cent. Many are Californians who buy annual passes. But others are clearly international visitors, and Disneyland is the main Disney destination for Australians. When Walt Disney opened Disneyland in 1955, there was nothing like it. Legend has it that Disney - already famous because of his cartoons and animated feature films (beginning with 1937's Snow White and the Seven Dwarfs) - was bored sitting on park benches while his children had all the fun. So he imagined an amusement park that would entertain the entire family. Unlike Donald Trump, Walt didn't want his creation to be emblazoned with his own surname, pitching his concept as "Mickeyworld". But older brother, Roy persuaded him "Disney" would outlast Mickey Mouse. During construction on a former orange grove in then rural Anaheim, Walt stayed in an apartment over Disneyland's "fire station", supervising his dream becoming reality. 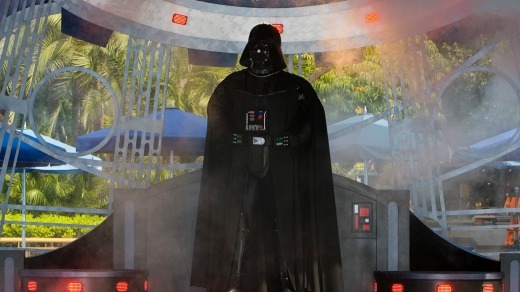 Once the park was open, he greeted visitors, reminding employees they were all members of "a cast" and should never appear "out-of-character". When Nikita Khrushchev, President of the USSR, visited the UN during the Cuban Missile Crisis in 1960, he asked to visit Disneyland. His request was turned down by the American security services. 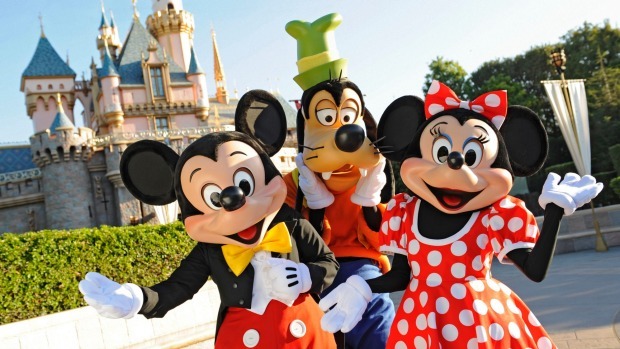 For two decades, there have been two Disney parks in Anaheim, known collectively as Disneyland Resort. They are separated by a central Olympic-sized boulevard which leads to Downtown Disney (the free-to-access shopping street with plenty of cafes and restaurants) and hotels, motels and apartments that now border the resort. This remains much as Disney designed it. Enter via Main Street USA, an idealised version of what America might have been without the Depression, and you'll be immediately struck by the cleanliness, the quaintness (horse-drawn streetcars) and the Disney characters. Keep an eye out for Oswald the Lucky Rabbit. He was Walt's first cartoon hit, but Disney was cheated out of the copyright by New York bankers. Facing financial ruin, Disney drew a series of circles that became Mickey Mouse on the train back to LA. The Disney Corporation regained the rights in 2006. At the end of Main Street USA, beyond the statue of the adult Walt and Mickey hand in hand, you can't miss the most familiar Disney icon of all - Sleeping Beauty's Castle. It's based on a real European castle, but Disney saw a model and felt it would look more dramatic built back to front.Many of Disney's original conceptions are here: Adventureland (now home to Tarzan's Treehouse); New Orleans Square (Pirates of the Caribbean and the Haunted Mansion); Frontierland (Big Thunder Mountain Railroad); Fantasyland (the Matterhorn Bobsleds), Mickey's Toontown (strictly for adults reliving their childhoods) and Tomorrowland (Space Mountain). This park represents the youthful Walt, newly arrived in Los Angeles from Chicago in the 1920s with big dreams and empty pockets.DCA's equivalent of Main Street USA is Buena Vista Street, named after the address of Disney's Burbank Studios. The Spanish-American style Cathay Circle restaurant and bar is a replica of the Hollywood theatre where the premiere of Snow White was held. Unlike DL, alcohol is readily available. In fact DCA is hosting an annual Californian Wine & Food festival when we visit. Head for Hollywood Land (Guardians of the Galaxy), move swiftly past A Bug's Life (great for kids) to Cars Land (Radiator Springs Racers), and then onto Pixar Pier, dedicated to Disney's absorption of Pixar after Steve Jobs died. The newly cast Incredicoaster, inspired by Incredibles 2, is the highpoint (literally). The old Tower of Terror has been made over to relive the characters from Marvel's 2014, Disney-released movie starring Chris Pratt. It helps if you've seen the movie to get the in-jokes. Imagine yourself in a high-speed hang glider, flashing over the world's greatest sites (including Sydney Harbour). Most of the footage is real, but one historic site refused permission to film that low. 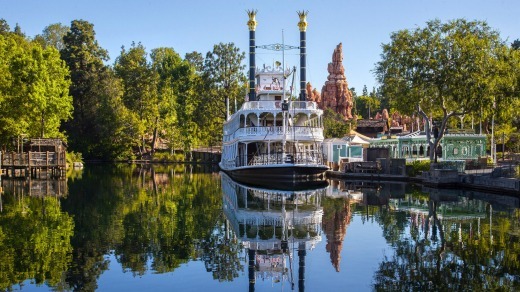 Both Disneyland originals are sometimes dismissed as "old-fashioned". But where else will you find heritage rides older than you are which are still so much fun? My children were raised on the Cars movies, so it's almost obligatory to chose this. Yet it's hard to believe Disney has recreated Lightning McQueen's desert mountainside courting ground with Sally so perfectly on the flat plains of Anaheim. Set in The Temple of the Forbidden Eye, you descend in Indy's cobwebbed footsteps to discover carvings that tell you about Mara, the ancient deity who promised untold riches to the pure and certain death to any imposter who stared into his eyes. Baby Jack-Jack, now in his terrible twos, is the star (and will make you glad you're here without kids). Watch at least one parade before you dismiss it as pure kitsch. They always feature Mickey and usually the other three members of Disney's Big Four - Donald Duck, Goofy and Minnie. There's a 45-minute, toddler-friendly parade around 3pm in DL, followed by an after-dark parade at DCA (6pm onwards). When we visited, early in 2018, both featured Pixar floats from such films as Up, Toy Story and Inside Out. As for the classic fireworks display over Sleeping Beauty Castle (wind dependent), pick a position midway along Main Street USA. Increasingly, laser and cinematic light shows are an essential part of the Disney experience. Disneyland Resort has suffered an understandably bad reputation for overpriced fast food over the years, but - as an adult - there are alternatives. My favourites? 1. Cathay Circle Restaurant (DCA). After a cocktail in the bar, climb the stairs. I chose the Fire Cracker Duck Wings ("Farewell, Donald, I knew thee well! "), and the Skuna Bay Salmon (Unagi glazed with heirloom tomatoes and roasted corn). 2. Blue Bayou Restaurant (DL). New Orleans Square is a good place to eat since Australians rarely get to taste Cajun cuisine. There are several restaurants which serve gumbo, jambalaya and New Orleans fritters. Blue Bayou is the best. 3. Uva Bar and Cafe (Downtown Disney). Regular Disney visitors often prefer to eat at Downtown Disney, where there's more adult choice and much superior coffee! Uva Bar serves "Cal-Med" (a Californian take on Mediterranean cuisine) with lots of fish and fresh local ingredients. 4. Napa Rose Restaurant (Grand Californian Hotel). Venture into the resort's 4.5 star flagship hotel just to embrace its over-the-top, ludicrously dark, baronial ambiance. But Napa Rose, its signature restaurant, has continually featured in Californian awards since it opened in 2002. 5. Trader Sam's Enchanted Tiki Bar (Disneyland Hotel). Order a "Dark and Stormy" cocktail, just for the theatre of watching the barman ring a bell, shout "Stormy weather" and and spray the bar with water. The "log cabin" bar is unforgettable - and huge fun for a nightcap. Preferably outside the peak seasons, when queues are shorter. At least an hour before the parks open so you can be near the front of the queue. Early morning is the least busy part of the day. But if you only have a single day, buy a Park Hopper ticket so you can swap between the two parks. The usual trick is to begin in DL, spend the afternoon in DCA, and head back to watch the evening fireworks in DL. If you're visiting with others, check your individual "must-do" attractions and work out a compromise itinerary. It's impossible to do everything, so don't try. The new Disney MaxPass app - for US$10 a day per ticket - allows you to reserve FastPass+ access to popular rides. See disneyland.com/maps. Anyone who has been skiing will know the best way to beat queues is to ride the ski lift as a single. If two of you line up in the single line, chances are that you will travel on the same "car" (though not side by side). Disney's Grand Californian Hotel & Spa is a four-star hotel by Australian standards, but great fun (with pool, gym, spa and direct access to DCA and DD). The other two Disney hotels are Paradise Pier and the Disneyland. See disneyland.disney.go.com. Steve Meacham was a guest of Disneyland Resort.